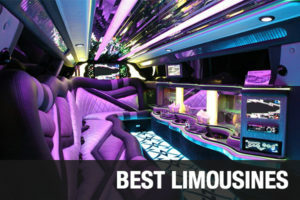 View Party Buses, Limos & More! Party Bus Oakland is your way to explore all of Alameda County. With endless things to do in Oaktown it is no wonder our transportation services are ideal for everyone when it comes to fun traveling. With our fleet being so huge the amenities can change from vehicle to vehicle, that is why checking out each limo bus is a great idea. Most of our vehicles have common features like custom interior, hardwood floors, music, and lighting. While others have more features like detachable dance poles, restrooms, multiple bar stations, firework nightclub lighting, AUX port hook up so you can listen to your own music from your IPOD/MP3, and of course huge televisions. With your big events approaching soon the more of a reason you should reserve your party bus Oakland today. Party Buses Oakland California is perfect for sporting events and tailgating. No matter what time of year it is our vehicles will take your tailgating experience to a whole new level. Plan on watching the A’s play at Oakland-Alameda County Coliseum? Rent a Oakland Party Bus and show everyone what the real meaning of tailgating is. California can be hot during baseball season which means tailgating can get miserable in the heat, but not when you rent a Oakland party bus. Imagine how nice it will be to just be able to jump aboard your limo coach and enjoy the nice ice cold air conditioner. Baseball a little too slow-paced for your taste? Luckily for you the city is home to the Oakland Raiders; once the most feared team in the NFL. Pull up to the stadium in your nightclub on wheels and leave the worries about finding a parking spot and then having to walk all the way up to the gates behind. That way you can just focus on some hard hitting football. Even if it is not football season Oaktown still has the Golden State Warriors who play at Oracle Arena. Head down to the arena to watch the warm ups and after the game enjoy some dinner at Yoshis where you can enjoy some of the citys best cuisine along with live Jazz music. Party Bus Rentals Oakland has a wide range of different vehicles for you to choose from throughout all of Oakland. Rent one of our Oakland Charter Services to take you and your friends to any club, such as Lounge 3411 or Shattuck Down Low. Take one of ourParty Buses in Oakland to any of the great restaurants in Oakland such as Wood Tavern, Marica, or Commis. Have plans after eating? We’ll drive you anywhere you need to go! We guarantee the best motor coach services in all of Oakland. Whether you’re going on a business trip or going out clubbing, Oakland Party Bus Rentals has you covered. Oakland Party Bus Rentals has you covered throughout Oakland.Even if you are trying to explore outside the Oakland area we also offer Berkeley Party Buses, Berkeley VIP Buses, Alameda Limo Services, Alameda charter bus, Hayward limo coach, and Hayward Escalades. Travel in one of our San Francisco limousines, Richmond party bus, Richmond Escalade, San Mateo party bus, or our San Mateo limousines. Our vehicles are perfect for your occasion with our Fremont Charter Bus, Fremont party bus services, or our coach bus in Dublin. Let our Dublin shuttle service, San Jose Hummer, San Jose taxi cab, or Campbell shuttle service to Oakland Airport.